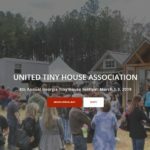 Here’s a video tour of a tiny home we built and delivered last year. It is unique in several ways, it is on skids instead of a trailer, it features reclaimed heirlooms, and has a beautiful kitchen area with live edge counters. Watch it and let us know what you think!